A rural location for the anniversary Sketchwalk of Urban Sketchers Cebu. First starting at the bridge at Silot Bay, Liloan for warm ups then straight to the historic Bagacay Point Lighthouse. Overlooking the Mactan Channel, the lighthouse stands tall at a 172 feet and has been around since 1903 during the ruling Spanish Goverment. The tower in it's present form is in an octagon shape and painted white and was commissioned by the first American Governor-General of the Philippines, William Howard Taft although the point light was original created during the ruling Spanish Goverment of 1857. It currently sits on elevated government property and both the lighthouse and the view makes it a great location for artists to sketch or just hang out. 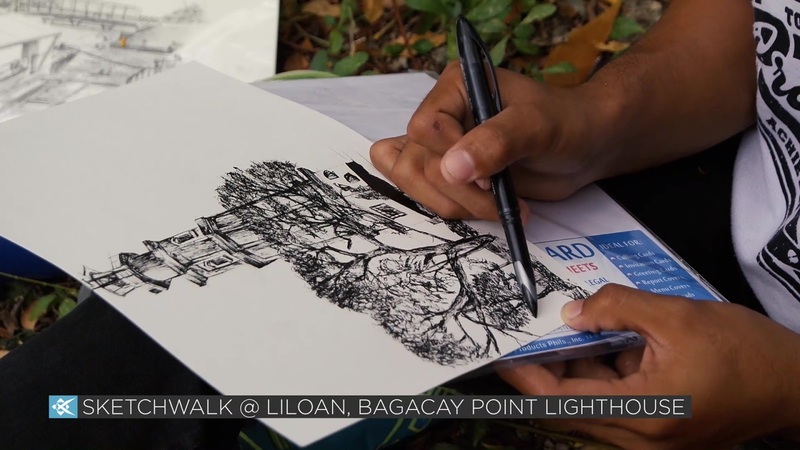 Check out the video below and don't forget to like and subscribe to our Youtube Channel for more Sketchwalk video content from Urban Sketchers Cebu!